Today, I have a triple treat! Not only do I have a REVIEW of CAKE & PUNISHMENT, but author Maymee Bell AKA Tonya Kappes has also graciously provided a GUEST POST about small towns as well as a GIVEAWAY for your chance to win a Kindle! Bucolic Rumford, Kentucky has glowing fields of bluegrass, a fine selection of bourbons, and now a professional pastry chef. Broken-hearted Sophia Cummings has come home from New York City. She’s not there a minute before she’s charmed into making her high school friend Charlotte’s wedding cake. The kitchen at the Rumford Country Club seems perfect until Chef Emile’s body is discovered, sprawled near the stove, a cast iron skillet on the floor close by. With one look at the shiny, new frying pan, Sophia knows it’s not Emile’s. She offers her knowledge to Sheriff Carter and her talents to Evelyn, the manager, who needs an interim chef. The mood in the country club is grim: Emile’s peppery personality had burned members and staff alike. Sophia wonders which one of them burned him? This was an absolutely fantastic and enjoyable start to a series that I will definitely be waiting for more of! As a pastry chef, Sophia's descriptions of ingredients and flavors merging to create delicious baked goods will have your mouth watering! So make sure to grab some tea and something sweet before you begin! Or better yet with recipes provided, I can see pantries being quickly emptied in an attempt to recreate some tasty treats. I loved learning about the process of baking as Sophia expertly detailed her creations. Any foodie or culinary cozy fan will take pleasure in eating this book up, especially knowing you can whip up a batch or more of your very own Red Velvet Crunchies! This was a solid mystery throughout with just enough twists and quirky side characters to keep readers guessing until the very end. Bell's casual and conversational writing style really plays on the Southern hospitality, drawing you into this friendly and welcoming community. The story's pacing also created the right amount of tension and suspense to keep the pages turning in an effort to figure out who the murderer ultimately was. I'm also a fan of the hate-to-love troupe, so the push and pull between Sophia and the sheriff added an additional layer to the antagonistic relationship that generally exists between amateur sleuths and law enforcement. Overall, this was a fun and charming read that I look forward to continuing. 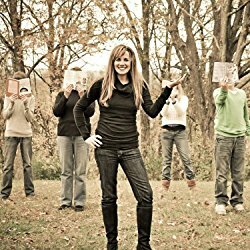 Highly recommended for any fan of cozies as well as a perfect place to start for those looking for a place to start! There is just something about a small town. . . I grew up in a small rural Kentucky town. It’s one of those thing when someone asks me where I’m from, I’m going to say the county name instead of the city. That’s just the way a small town rolls. That is just ONE of the things that I loved about growing up in a small town in the south. In most small towns there is that one diner, the one greasy spoon that no matter what time of day you go, there is a line and the counter stools are filled with the same local, little old men in their John Deere hats with a cup of coffee in their hand. When you go to open the door, you have to give the bottom corner a little tap with the toe of your shoe because it gets a little stuck every once in a while and the above the door dings as soon as you fully open it, our hearts swell with joy. Then our stomach rumbles as the smell of homemade biscuits, sausage gravy, and bacon grease swirl and curl around our nose with strong coffee chasing shortly after. Our eyes scan the top of the full diner just so we can find a couple available seats. After we find that seat, our usual waitress, the only waitress, comes over and fills the foggy plastic glass with the chip in the rim with water and a pot of coffee dangling from her hand. You don’t need a menu. You know what they serve at your diner as if it were tattooed on your brain. And just thinking about that fried egg has your mouth watering. . . Awe. . .wasn’t that a great step back into a wonderful memory? What about your memories? Do at least half of them revolve around food? Food is such a wonderful way to gather people. It is magical really. Food creates community, builds relationships, and fills our souls. Doesn’t this sound exactly how a novel should feed your mind? I think so too! In every single novel, mostly all in series, I’ve written I make the diner and settings of my small, southern towns just as much a character as my heroine and hero. It’s a comfort to the reader to open a novel in a series and know what it feels like to flip the first page and step back into the diner they have grown to love because of all the warm and fuzzy they get from visiting. Enter for your chance to win a Kindle! 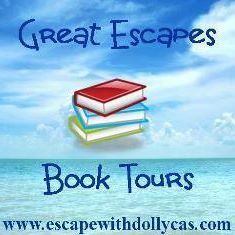 Many thanks to Great Escapes Book Tours and especially Maymee Bell. It was an absolute pleasure hosting and providing a review. 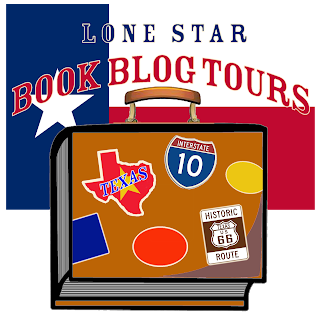 And be sure to check out the other blogs on the tour for more opinions and author extras! 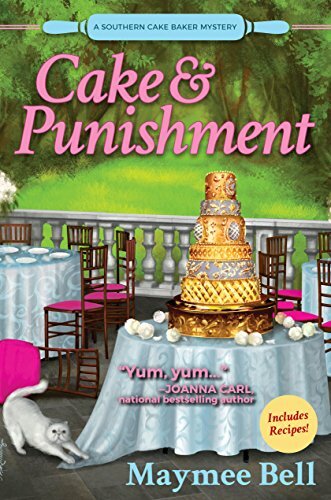 Thank you for your review and information on "CAKE & PUNISHMENT" by Maymee Bell.